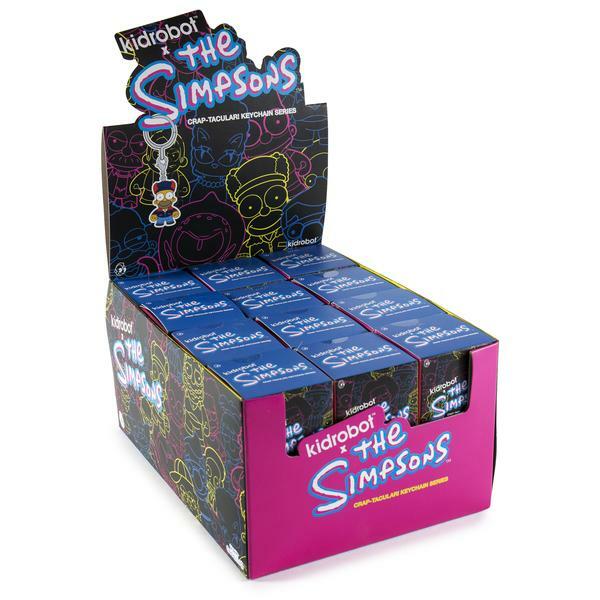 Kidrobot have recently released new Simpsons figures! 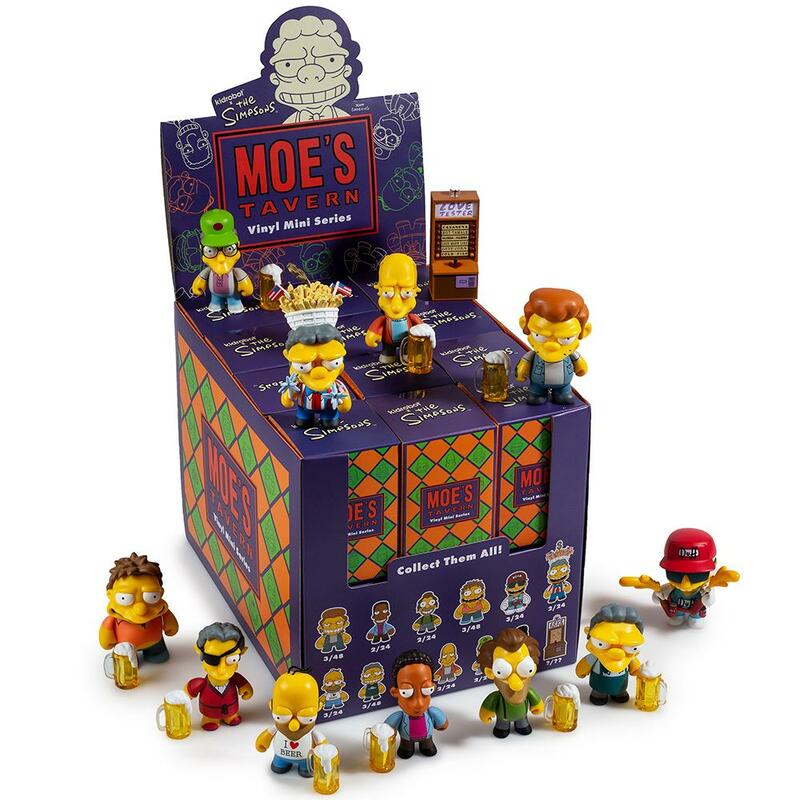 The Moe’s Tavern Mini Figure Series features patrons (and the Love Tester) of Moe’s Tavern. Each blind box costs $9.99. The Simpsons CRAP-TACULAR! Keychain Series features 18 different keyrings. If you collect all eighteen before the season 30 premiere and send a photo of them to Kidrobot, you will get “something crap-tacular”. Each blind box costs $5.99. Kidrobot has been releasing Simpsons figures since 2008. See our article for all their figures.